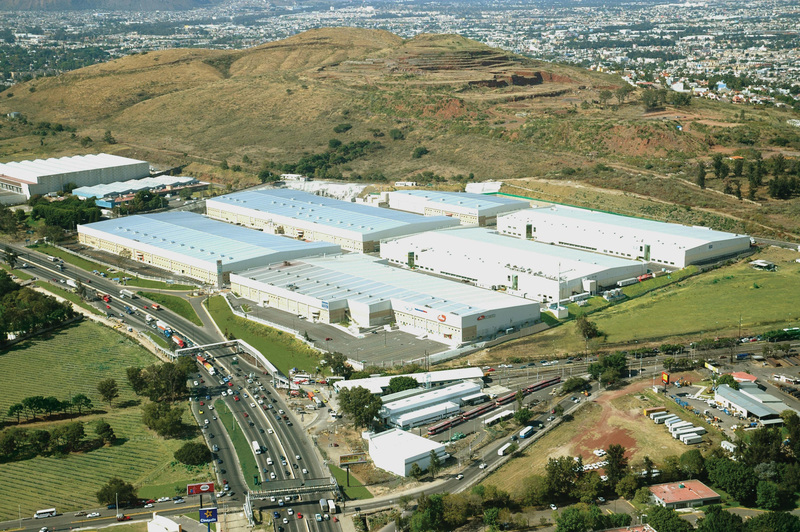 GUADALAJARA, Mexico – Hines has acquired Parque Industrial Tecnológico II, a 1,308,321-square-foot industrial property located in Guadalajara, Jalisco, Mexico. Hines developed Parque Industrial Tecnológico II and sold it to Union Investment in 2007. Cushman and Wakefield represented Union Investment in this operation and Savills represented Hines. Parque Industrial Tecnológico II is located at the corner of Anillo Periferico and Avenida Colón, making it a landmark location in Mexico’s second largest metro area, second to Mexico City. Within Guadalajara, the Periferico Sur industrial submarket offers excellent transportation with proximity to universities and a robust labor market. Parque Industrial Tecnológico II is one of three logistics parks that Hines has developed in the Periferico Sur submarket of Guadalajara. Hines has managed Parque Industrial Tecnológico II since its inception. Hines’ business strategy for this asset involves engaging a local architect to redesign the façade of a building which was previously leased by Intel to house their headquarters, and subdividing the existing space in order to provide leasable areas from 10,000 square feet to 131,686 square feet of high-end, finished office space for different users in the market place. As presently the only non-European logistics asset, Union disposed of the property primarily for strategic reasons. “Our investment focus in Latin America is currently on the office property market in Mexico City. We see exciting opportunities here for our international funds to expand our excellent Americas portfolio,” said Martin Brühl, head of International Investment Management at Union Investment Real Estate GmbH. Since 2010, the historical average annual occupancy of the park has been above 95 percent. Parque Industrial Tecnológico II is currently leased to 22 tenants, the largest of whom are Assa Abloy, Bonafont, and Heinz.